Just outside of the city of Jerusalem there is an empty grave. What makes this empty grave so unique is that it was not always empty. According to reliable records, an itinerant preacher by the name of Jesus of Nazareth was laid to rest in it just before the Jewish Passover during the early part of the first century. He had been executed by the Roman government, who had been occupying Palestine at that time. Interestingly, this Jesus of Nazareth had not only predicted his death, but had also suggested that he was capable of raising himself from the dead a few days after he died. To ensure that this was not the case, Jewish leaders had persuaded the local Roman official to place a guard at the tomb. The day following that Passover, a group of men who had been followers of Jesus of Nazareth, claimed that he was physically alive and had appeared to them. An inspection of the tomb revealed that it was indeed empty. His body was not inside as it had been. So, where was the body of Jesus? As the Jewish leaders soon encountered the disciples of Jesus, it became quite obvious that they were not in possession of Jesus’ corpse. Had they been, then they would have quickly confronted these men with the rotting flesh of the crucified victim. The fact that they accused the disciples of taking the body proves that they did not have it. Perhaps the Roman government took it? Keeping peace in that volatile region was their focus. They could have removed the body to prevent a claim of resurrection. The problem with this theory, however, is when trouble erupted between Jews and Christians, they would have simply led everyone to the place where Jesus’ body was being stored, and ended any discussion on the matter. They couldn’t do that because they didn’t have the body. The group of men who claimed that they had witnessed Jesus alive after his death did not back down from that claim, even when most of them died torturous deaths. None of them gained any political power or worldly riches as a result of what they had believed. They were hounded for the rest of their lives, simply because they had claimed to have witnessed something. Throughout the ages, many have tried to offer alternative explanations for why the tomb was empty. In my opinion, none of them deal with the all of the evidence as does the suggestion that Jesus rose from the dead. So now it’s your turn. 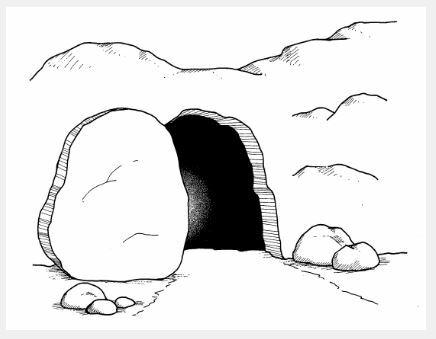 How do you explain the empty tomb? What theory best fits all of the known circumstances of that historical event? Was Jesus Buried for Three Days & Three Nights?